Too busy to stop the party? The Christmas tree at the Iowa State Capitol building still proudly holds on to its lights four months after first being lit. The 65-foot-tall blue spruce is a living tree that is permanently planted on the Capitol grounds, but the LED Christmas lights are usually a temporary feature. 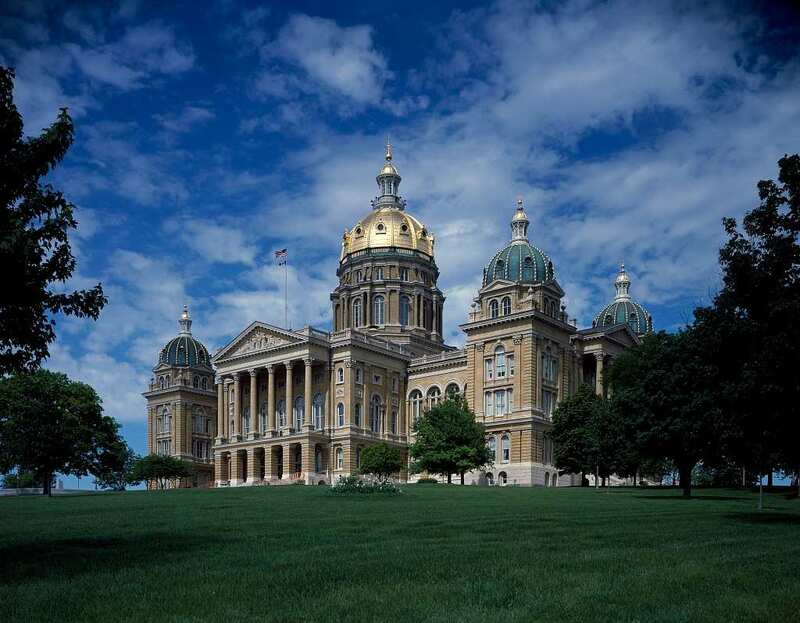 The Des Moines Register reports that an extended legislative session this year means the Department of Administrative Services can't find a time to close down the road next to the Capitol building to bring in the lift necessary to reach all the branches of the tall tree. It doesn't appear that the lights are still being lit, but maybe the energy-efficient lights could simply be left on year round and continue to add some sparkle to the Capitol! Did you know? The Iowa tree is actually the second-tallest state Christmas tree in the country.